I want to start a little series talking about the less-glamorous side of beauty and health, with a new topic on Tuesdays. This week: Cystic pimples and dandruff. Joy! Both of the products I'm highlighting are from ChickAdvisor, and they didn't even ask me to write this on my site - I simply love them enough to tell you. Benzoyl peroxide is an often-overlooked ingredient that literally has the power to zap zits overnight. I recommended this spot treatment from Benzagel to a friend who had a zit that just wouldn’t budge, strategically positioned right in the center of her forehead. It works so well as an emergency fix that always has your back. I get those hormonal spots and cysts every month, without fail, and nothing reduces the anger of a pimple like Benzagel 5. I'll apply a thin layer under my moisturizer and on cleansed skin twice per day, every day, for 3-5 days and there is typically a great improvement in the spot from day 1. This is a medicine cabinet essential, IMO! I have very thin hair, but a lot of it. I also have natural "virgin" hair that has never been coloured or treated heavily. I have combo skin which means my scalp gets plagued with flaky skin, oiliness and buildup just as much as my skin elsewhere. I struggle to find cleansing shampoos that don't strip my hair and scalp but still leave my hair feeling fresh. 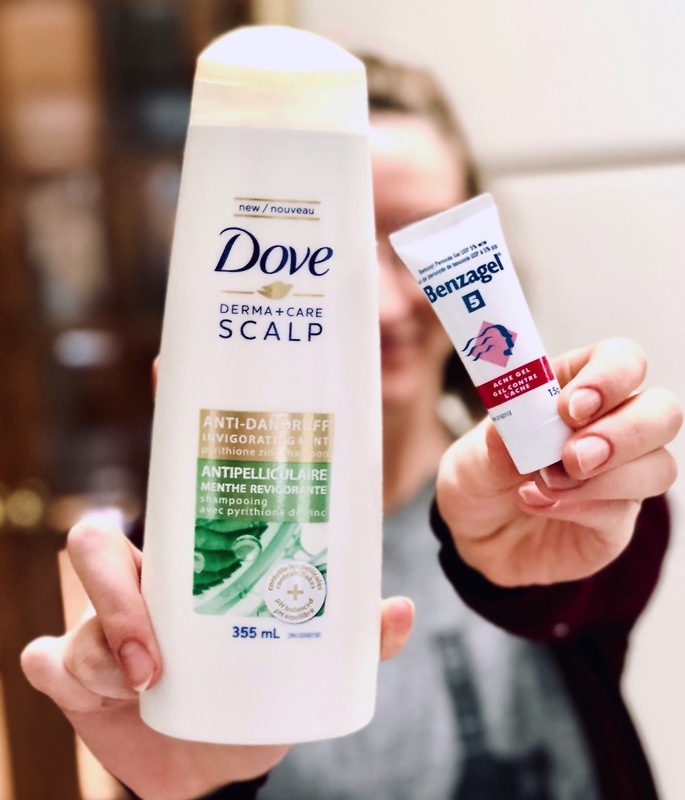 My first reaction to this Dover Derma+Care Scalp Invigorating Mint shampoo is that it foams up SO MUCH. But not in an annoying way! It's very thick and a little goes a long way. The foam that builds up is so cleansing, I can massage it through my head for at least two minutes to get a very thorough clean. My scalp is left feeling comfortable and healthy after using this shampoo. I usually rotate between 2-3 types of shampoo at a time, so I find myself reaching for this one about 1-2 times per week. I would definitely recommend this shampoo as a good deep cleanse that smells an awful lot better than competitors (*ahem*, H&S;) and doesn't break the bank.